The red-hot political debate in California over the possible authorization of online poker has racheted up another level with the publication of demands made by the Pechanga-led coalition regarding the possible participation of international online-poker giant PokerStars in the state’s gaming future. According to the demand letter, which was addressed to California Assemble “Go” Committee Chairman Adam Gray, the seven-tribe coalition will continue to oppose Gray’s AB 2863 unless amendments are adopted which would force PokerStars into an additional ten-year sitout period, then pay a penalty of $60 million into California’s general budget fund, simply for the right to apply for licensing. The demand letter, dated Wednesday, was first obtained and published by Cali gaming writer Chris Krafcik yesterday. The hardline tribal coalition making up the group is the same small-in-number, but politically influential, group of tribal nations that for years has demanded online-poker language extremely beneficial to their own interests, but detrimental not only to all other interested potential stakeholders, but arguably to California consumers as well. It’s also the same group that was behind a recent “push poll” with both an obstructionist and anti-PokerStars, anti-racing agenda that was announced via a suspect LA Times features last month. As exposed here, the poll itself was about as fraudulent a research effort as possible, including an “oversample” that appears to have been designed solely to produce the Pechanga coalition’s pre-desired outcome. The seven tribal nations who appear on the letterhead of the letter sent to Gray’s office are, as usual, the Pechanga Band of Luiseno Mission Indians, the Agua Caliente Band of Cahuilla Indians, the Barona Band of Mission Indians, the Lytton Rancheria Band of Pomo Indians, the Table Mountain Rancheria of California, the Yoche Dehe Wintun Nation, and the Viejas Band of Kumeyaay Indians. The arrogant tone of the demands leads off the first two pages of the letter, which continues to accuse PokerStars (though Stars is not specifically named in the letter), as being in violation of US federal and California state law, particularly from the end of 2006 through 2011. PokerStars settled its federal case with the US Department of Justice in 2012, admitting no wrongdoing for offering its poker-only services to US citizens, and the DOJ itself has also published an opinion asserting that the US’s 1961 Wire Act applied only to sport betting, and never to online poker, meaning that PokerStars’ services, once they had departed the US market, were subsequently declared to not have been illegal all along, except perhaps in the 13 or so US states that had previously implemented state-level online gambling bans.. 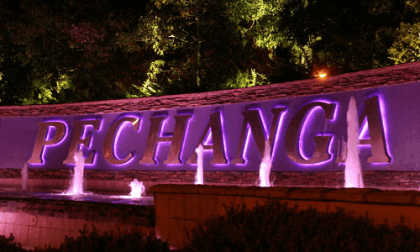 The letter, which laughingly describes the pre-provided amendments the Pechanga group desires as “significant concessions,” is an utter non-starter amid the contentious debate. The Pechanga group’s stance remains unchanged, since to forcibly remove the possibility of PokerStars participating in California for at least ten years, not to even begin until “the date of the first legal internet poker bet in California,” essentially bars them from the market. The contentious, ongoing debate was heated enough for Rep. Gray to yank discussion of AB 2863 from the California Assembly’s slate this week, and when it return there remains anyone’s guess. The demand letter also publicizes ongoing issues in two other states that might bolster its argument, while utterly ignoring less-favorable developments to its demands. The coalition cites somewhat similar bad-actor language in Nevada, regarding that state’s online poker regime, without mentioning that PokerStars and other would-be software providers never had deals with Nevada’s casinos, and have had no reason as yet to challenge the legality of that state’s initial statute on that matter. The Pechanga coalition also cites the ludicrous $870 million that the Commonwealth of Kentucky awarded itself regarding PokerStars’ past services to Kentucky-based players, unmindful that appeals in that case are ongoing and the judgment carries an extremely high probability of being overturned, once it moves beyond the monkey-court jurisdiction where the ridiculous judgment was first rendered. And before commenting further on the Kentucky and Nevada situations, it’s very much worth noting that the Pechanga group’s demand letter utterly ignores New Jersey, where that state’s gaming regulators thorough vetted new parent Amaya and approved the PokerStars brand for business there, albeit after a lengthy, convoluted application process. That’s a far-fetched site from what the Pechanga group hopes to impose upon California’s 39 million citizens, a regime where PokerStars is judged guilty without any sort of government complaint or trial. Mind this important distinction. Whether the actions of PokerStars and other US-facing offshore sites were legal or not, Nevada and Kentucky are among only a small handful of states to have taken enforcement action against such sites. California never did, and since more than five years has elapsed since Black Friday, it is likely that any such claims by California authorities are now time-barred. 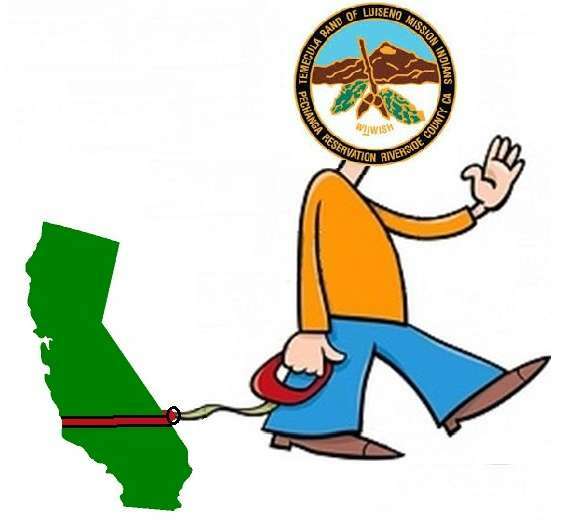 The changes proposed by the Pechanga coalition magnify what many have already been an unconstitutional amendment to AB 2863, approved last week, that demanded a payment of $20 million from any site or company that served Californians between 2006 and 2011. That includes PokerStars. But given the time that’s elapsed, and lacking any due process, the claims by Stars parent Amaya that such proposals are unconstitutional seem wholly justified. Neither PokerStars nor corporate parent Amaya have issued a formal press statement on the latest California developments. However, Amaya’s vice president of corporate communications, Eric Hollreiser, did denounce the Pechanga group’s demands on social media. It is a shame that obstructionist forces continue to block the passage of a pro-consumer online poker bill in California. We finally have real progress this year, with the majority of gaming tribes supporting the legislation, along with AFL-CIO, SEIU, Teamsters, horse racing tracks, card rooms and gaming operators. Unfortunately, a recent amendment to AB 2863 is unconstitutional and our opponents seem intent to expand upon that flawed and unconstitutional language. Note that Hollreiser’s Tweet references the originally $20 million penalty aimed at PokerStars that was inserted earlier last week via separate amendment. As for the unacceptable demands of the Pechanga coalition, it’s another order of magnitude, a deal-breaker even without any deal being in place. There’s certainly more to follow from the heated situation in the Golden State, and we’ll be updating the story as events warrant. “meaning that PokerStars’ services, once theyhad departed the US market, were subsequent declared to not have been illegal all along.” Ummm, not so fast. Online poker was not covered by the Wire Act. But that doesn’t mean online poker was legal. It was not. It was in violation of just about every state’s gaming regulations, which in turn made it illegal under several federal statutes–IGBA, the Travel Act, RICO, and UIGEA. “But given the time that’s elapsed, and lacking any due process, the claims by Stars parent Amaya that such proposals are unconstitutional seem wholly justified.” I know this is another popular PR talking point, but economic regulations like the “bad actor” proposal are almost certainly constitutional. The courts give strong deference to state legislatures re economic regs, and have upheld plenty of statutes which are barely disguised economic protectionism. The bad actor proposal is terrible policy, but probably constitutional. Actually, about 13 US states had implemented state-level online gambling bills, but California was not one of those. I’ve made a technical adjustment to the piece, but your statement probably is just a tad bit incorrect as well. Prior to Black Friday, to my knowledge, no state explicitly authorized online poker/gaming, at least on a for-profit model. There may have been some states allowing lottery sales or horse race betting in an online model, but not poker or general casino gaming. Perhaps I’m misunderstanding your comment. Or, if I’m wrong and there were states permitting online poker/gaming prior to Black Friday, do you have a link to a source or list? Also, not sure if this was part of your clarification or I just missed it the first time, but the fact CA never prosecuted Stars (or others) really doesn’t hold much weight in an administrative licensing and suitability context. I’m in an industry (insurance) that is highly regulated at the state level. Regulators impose fines or even suspend licenses based on conduct that is never prosecuted as a crime. Often regulatory action lags the alleged misconduct by many years. So, while a criminal case may be time-barred (depends on the specific state or federal charge), that doesn’t mean a regulator is barred from taking that prior action into account in a licensing examination. And while principles of waiver, estoppel, or laches might be appealing, they generally don’t apply so that a prosecutor’s decision not to pursue criminal charges prevents an administrative action (classic example–prosecutors can drop or you can be acquitted of DUI charges yet still lose your drivers’ license). In any event, this is just quibbling about nuances of administrative law. I fully agree with your broader points about obstructionism, economic protectionism, and the attenuation of any “bad actor” conduct from the current iteration of Stars. It’s absurd CA can’t seem to pass online poker legislation. I agree, Michael, and rest assured that your legal insights are some of the best around and have been for years.